FORT MYERS, Fla. - Sept. 14, 2018 - PRLog -- Lawyer Sarah E. Cox is publishing series of instructional articles, all of which will be available on her Blog. The first article on Business & Real Estate has now been published. The First Case to be analyzed by Ms. Cox is the matter of Walker v. Lundborg, WL 576820 (Privy Council No. 79): "U. K. Privy Council reviews judgment of Bahamas Court of Appeal and disapproves failure of Florida bankruptcy judge to observe international comity." Attorney Sarah Cox summarizes the case as follows. This unnecessarily complicated case before the Privy Council deals with a sale of Bahamas real property under a court order. The property in question is a one-story residence on a plot of land known as Lot 32, North Cat Cay. Though in a desirable location, the house is in a poor state of repair and seems to have been empty for long periods. Part of the difficulty is that although the litigation has so far produced seven orders (some interlocutory and some final) made by Bahamas first instance Judge Lyons, it was only at the hearing leading up to Order (6) that the judge heard oral evidence from deponents followed by cross examination. Another complication has been the concurrent Florida bankruptcy litigation involving Mr. James F. Walker, one of the Petitioners, initially with questionable regard to the principles of international comity. Attorney Sarah E. Cox explains. Plaintiff, the Petitioners and the Respondent are all U.S. citizens living in Florida. The Petitioners, however, at one time did reside in the Bahamas. In 1983, they bought Lot 32 as joint tenants. They immediately mortgaged it back to the previous owners and have since paid off that mortgage. "The judge considered the issue of delay but his analysis was flawed because he concentrated on Mr. Walker. Moreover, he did not pay sufficient regard to the prejudice to [Respondent]. He misdirected himself in exercising his discretion. In their Lordships' opinion, Mrs. Walker, as a litigant asking for an extraordinary exercise of discretion in her favour, failed to act sufficiently promptly and failed to provide the court with a full and frank explanation of her delay. On those grounds the judge should have declined to make [Order (6)] and the Court of Appeal were right to set it aside (although their Lordships do not concur in all the Court of Appeal's reasons)." The Court of Appeal was also right, for the reasons which it gave, in setting aside the seventh order. "The judicial sale to [Respondent ] has still to be completed. Even at this late stage it may be appropriate for a wholly independent attorney to be appointed to have conduct of the sale and see it through to completion. That course may be particularly desirable if there is to be yet more litigation as to the effect on the charging order of the Florida orders of April 12, 2005 and November 29, 2007. Their Lordships express no opinion whatever on that matter. For these reasons, their Lordships will humbly advise Her Majesty that both appeals should be dismissed." [¶¶ 41 80]. Attorney Sarah Cox notes that with the world becoming more and more interconnected, even real estate takes on international dimensions, as here, where Bahamas real estate is implicated in Europe and in a US bankruptcy proceeding. 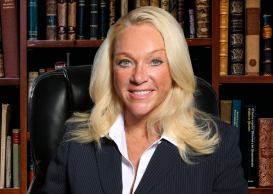 Sarah E. Cox is an Attorney in Fort Myers, Florida.